BOO! Halloween is right around the corner, and what better way to celebrate than with a little Empire State lore. Here are some of the spooky highlights of haunted New York. Featured on Syfy&apos;s Ghost Hunters, this former asylum in East Bethany, New York is said to be home to a bevy of former patients, including Roy (a seven-foot giant) and Ray, who attacks women in the basement. Eek! With over 1,700 documented deaths and hundreds not recorded, it&apos;s no wonder Haunted North America rated Rolling Hills Asylum as the second most haunted site in the United States. Dare to roam the halls alone? 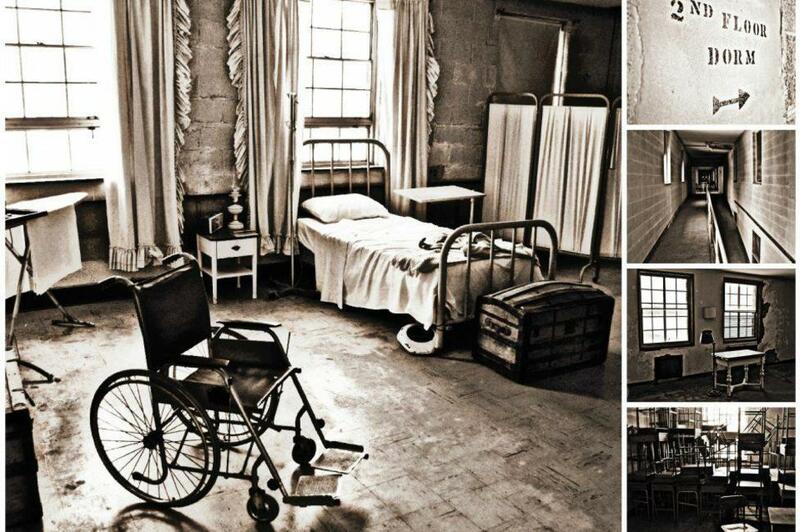 The asylum offers tours for the curious-even overnight. New York State is steeped in so much haunted history even its capital city is haunted. The Capitol in Albany, New York is home to Samuel Abbott, one of the most famous spirits in state lore. Abbott, a night watchman, was the only casualty of the Capitol&apos;s tragic 1911 fire-which also claimed 270,000 original early American documents. Current employees maintain that Abbot&apos;s ghost can still be seen roaming the halls of the fourth and fifth floors in his watchman uniform, jingling keys, testing doorknobs and turning out lights. The Amityville House remains one of the most notorious haunts in American folklore (photo by Richard Drew/AP). You&apos;ve heard of The Amityville Horror, but have you visited the actual village of Amityville in Long Island, New York? In December 1975, George and Kathy Lutz moved to this sleepy little village with their three children-but 28 days later, the family left, claiming to have been terrorized by paranormal phenomena in their home. The very same home where, in November 1974,Ronald DeFeo, Jr. shot all six members of his family in one of New York State&apos;s most infamous murders. 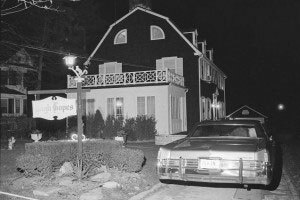 Much controversy surrounds the Lutz&apos;s accounts of their experiences in The Amityville Horror, but the tale remains one of the most notorious haunts in American folklore. Though the Amityville house still stands, the address has since been changed. Nestled quietly in New York&apos;s Finger Lakes, this beautiful historic hotel is home to quite the collection of spirits. Reports of voices, shadowy figures, and objects being thrown have peppered the hotel&apos;s history; in 2011, the Ghost Hunters investigative team found significant proof that the Naples Hotel is haunted. "Topper," a former guest of the Naples Hotel in the 1920s, is believed to haunt the hotel to this day. A male spirit in period clothing is another popular ghost. The hotel offers weekend ghost tours for the curious. 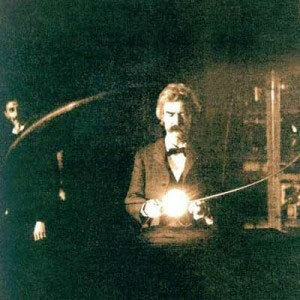 The ghost of Mark Twain can be seen at Manhattan&apos;s "House of Death". Widely considered to be the most haunted location in all of Manhattan, this innocuous brownstone is said to be home to a variety of spirits, including one former resident famous for his literary panache. Legend says 22 people have died in this 19th-century home, located at 14 West 10th Street (near Fifth Avenue). Oft-repeated apparitions include a woman wearing a Victorian dress; an elegant woman who traverses through walls; and, of course, the ghost of legendary wordsmith Mark Twain. If you&apos;re looking for Twain, your best bet is the stairwell. For more famous hauntings across New York State, see our Haunted History Trail. You can even enter to win a "night of fright" at the famed Naples Hotel! Winner will be selected on November 1, 2013.